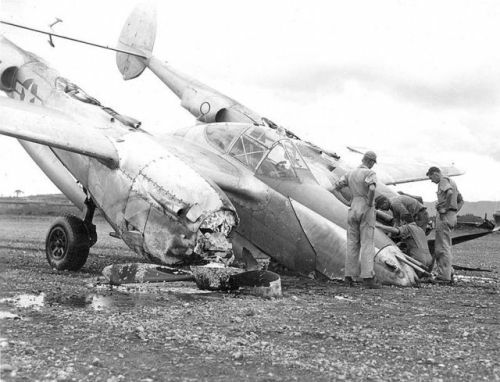 daily timewaster: Lockheed P-38 Lightning crashed at landing. Ouch! Lockheed P-38 Lightning crashed at landing. Ouch! A little Duct Tape and it'll soar with the eagles again. It was a good landing by the "can you walk away" standard. Not so much from the "can you take off again" standard. yep. it'll buff out but it may be a while. this is a typical attitude for a lockheed product, grunting for corn.